Bauko, Mountain Province is considered a Salad Bowl, owing to its abundant supply of temperate vegetables. Its towering peaks also serve as headwaters to major river systems namely, Abra, Chico, and Agno. But there is more to that. Unknown to many, Bauko also hosts fascinating tourist spots, mostly-nature based. Thanks to the active efforts of its local authorities, Bauko gradually emerges as a premium ecotourism destination. I have been visiting Bauko several times already. And I tell you. There is so much to learn and explore here. 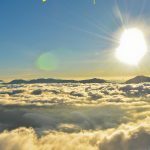 It’s no wonder why Bauko is often touted as the hiking capital of Mountain Province. Bontoc to Bauko. There are vans operating from Bontoc to Abatan, Bauko. Regular trip departures start at 7:15 am to 5:00 pm. Each van departs once filled to capacity. Baguio to Bauko. Bus and vans operate from Baguio to Bauko (I’ll add more details about this soon). Manila to Bauko. You have two options. First, take Coda Lines bus from H.M. Bus Station, Cubao, Manila. Schedule of trips are 8:00 pm, 9:00 pm, 10:00 pm, and 10:30 pm. It takes 10 to 11 hours to reach Bontoc. If you are not familiar, tell the driver to drop you at Bontoc town since the buses are bound to Sagada. Fare is 725 pesos for semi-deluxe and 935 pesos for deluxe. Click on their website for more information here. From Bontoc, take regular van trips to Abatan, Bauko. The second option is to ride Victory Liner Bus and North Genesis Bus to Baguio. Both bus companies have stations in Cubao and Pasay. They have hourly trip departures. From Baguio, take buses and vans to Abatan, Bauko. 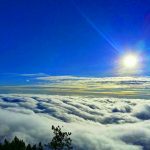 Bauko, Mountain Province offers numerous mountain peaks for avid mountaineers/hikers. Among these is Mt. Polis, the main hiking destination in Bauko. This is not to be mistaken with another mountain between Ifugao and Mountain Province which also bears the same name. Mt. Polis in Bauko is characterized with rugged slopes and patches of pine forests. Trekking to the top is almost like a walk in the park. The trails are well-established. From the road, it takes just about an hour to reach Mt. Polis’ summit. 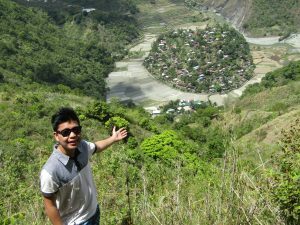 From here, one can view the neighboring municipalities of Sagada, Sabangan, and Bontoc. Beautiful rice terraces and towering peaks such as Mount Kalawitan and Mount Amuyao can also be seen here. Occasionally, sea of cloud form during early morning. To date, this is one of the most frequented tourist spots in Bauko. Mt. Polis as seen during early morning. Bauko is also home to the famed Mt. Data. This is actually a vast plateau. Almost its entire summit, however, has been converted into vegetable gardens. The few remaining mossy forests feed creeks leading to waterfalls cascading on the slopes of Mt. Data. From the summit edge of Mt. 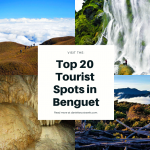 Data, one could see both municipalities of Benguet and Mountain Province. Parts of Ilocos Sur can also be seen here including the mighty Abra River. Hopefully, this mountain gets the protection it deserves especially that it’s a national park. Another site worth hiking for is Toktok Al-lan. This is actually a big boulder which sits on the slope of a pine-covered mountain. Legends say that Al-lan was a cruel giant. Because of that, Kabunian (Igorot god) turned him into a rock. From a distance, the rock resembles the head of an ape. 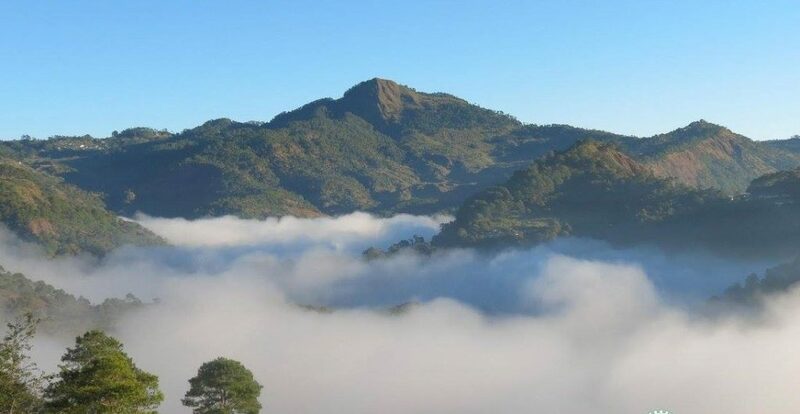 Other potential hiking spots in Bauko, Mountain Province are Mt. Bandilaan and Mt. Nentingle. Toktok Al-lan surrounded by pine trees. A breathtaking view from Mt. Bandilaan. 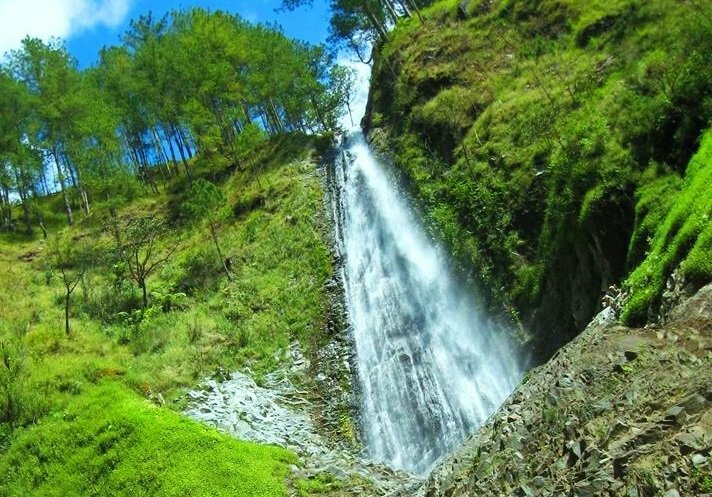 The towering mountains of Bauko, Mountain Province naturally created many waterfalls. The most popular of these is Paradise Falls. 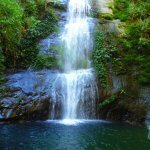 Hidden deep in the pine forests of barangay Monamon Norte, Paradise Falls takes at least two hours of hike to reach. You might be wondering why it’s called “Paradise Falls”? Well, that’s because once you’re there, you would feel like you are in paradise. Paradise Falls is actually-three layered. Collectively, it measures around 40 meters high. It has small and shallow pools. It’s crystal-clear and icy-cold waters emanate from pine and mossy forests upstream. 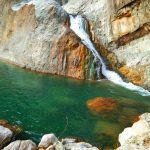 Amazing Paradise Falls of Monamon Norte, Bauko. The towering Inodey Falls can also be viewed from Bauko. It measures hundreds of meters high, making it perhaps, the highest falls in Mountain Province. From the summit of Mt. Data, Inodey cascades into a series of beautiful falls. However, it literally dries up during summer. During rainy months, however, it is a complete beauty. 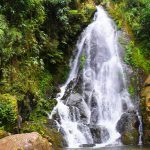 Other waterfalls found in Bauko are Mosgok Falls, Payangapang Falls, Talimpayok Falls, Malannas Falls, and Bukingking Falls. Most of these are relatively unknown. 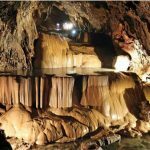 Therefore, visiting these tourist spots in Bauko would make you a pioneer. One of the mini-cascades and pools of Bukingking Falls. A distant view of the majestic Malannas Falls. Bauko is home to some sacred burial caves. One of which is Laayan Burial Cave, found in barangay Poblacion. From the Abatan-Bagnen road, it takes around 45 minutes of hike to get here. The cave contains three jars and 39 wooden coffins. The locals believe that it was the burial ground of the offspring of Padoka and Adian. 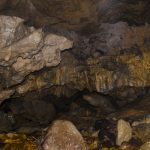 Other similar caves are those found in Suyo, Tumbaga, and Tupak Liyang. 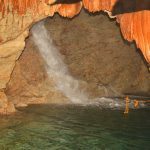 Another interesting site is Balintaugan Healing Cave. This was used as a quarantine site when there was no hospital back then. 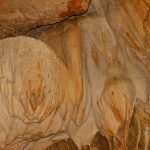 This cave signifies the indigenous health knowledge and practices of the locals. Stone Graves. These stone graves in barangay Banao contain artistic inscriptions including the names of the deceased. Dap-ay View Points. 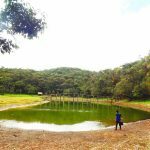 This site offers a breathtaking view of the famous “Sleeping Beauty” of Tinglayan, Kalinga and the historical Tirad Pass in Ilocos Sur. Kutkut-Aso Spring. This is just a small hole on the ground which contains pure and crystal-clear waters. It has an interesting story to tell though. It is a story about a dog that saved a man’s life after discovering the hole. I’ll leave the locals to tell the complete story though. Interestingly, the spring does not overflow during rainy months. Similarly, it does not dry up even if a huge drum of water is taken out. Old Airfield. This landmark plays an important historical role. The American soldiers used this as a drop-off point in World War II. Today, however, the area is covered with pine trees and grasses. The vegetation makes it an ideal site for camping. Bauko has several tourism amenities dispersed on different barangays. 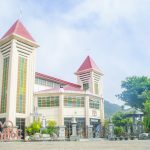 Among these are Amcaweng Inn and Restaurant (Sinto), Cross Town Inn and Restaurant (Abatan), Domogo Bistro and Café (Abatan), and several others found along the Halsema Highway. 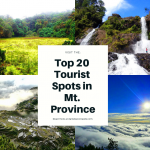 Tourism is not yet fully established in Bauko, Mountain Province. Thus, it’s better to first coordinate with the tourism office for them to help in setting up your itinerary, whether you are travelling solo or in a group. Contact details are listed below. Always secure a guide when travelling to remote tourist spots of Bauko such as mountains and falls. This is both for your safety and convenience. Some tourist spots in Bauko lack or don’t have signage. So don’t hesitate to ask the locals for guidance. 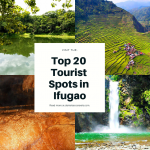 If you want to know more information that may help in setting up your itinerary to the tourist spots in Bauko, you may contact the Municipal Tourism Officer namely, Ms. Arsenia P. Addon through her contact number, 09107280900. You may also message us on our facebook page, Daniel’s Eco-Travels. Or post your inquiries on the comment section below. I would be more than glad and willing to help you in whichever way and whenever I can. Photos Courtesy of Bauko Tourism Office and Rose Lily Sangdaan. Disclaimer: This is a work in progress. 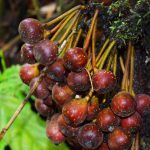 If you are from Bauko and is knowledgeable about its tourism spots, you may suggest some with corresponding pictures and captions. Thank you very much. Is km 102 a part of bauko? ‘ 54, ‘55, ‘56 i Visited my late brother andres Lubrin (forest ranger ) and his wife the late Carmen ( Taga, grade school teacher, from Besao ) and the songadan family, I wish to know if the songadan’s clan still in km102 , I remember one of the family’s first name is Florence songadan.